There have certainly been bigger upsets in sports – and even in Region 9 football. But Friday night’s 44-30 win by the Dixie Flyers over 6A powerhouse Lone Peak is one that may not be forgotten anytime soon. See, a year ago, during an 0-3 start to the season, Dixie got manhandled by the Knights 47-21. The bigger, stronger team from Alpine had led 30-0 in the first half. As the Flyers suffered through that lopsided loss, a little flicker began to burn. Despite the 26-point defeat, Dixie started to find itself. The defense began to stiffen. The offense started to hit on big plays and the stars (Hobbs Nyberg and Jacob Barben) started to shine. 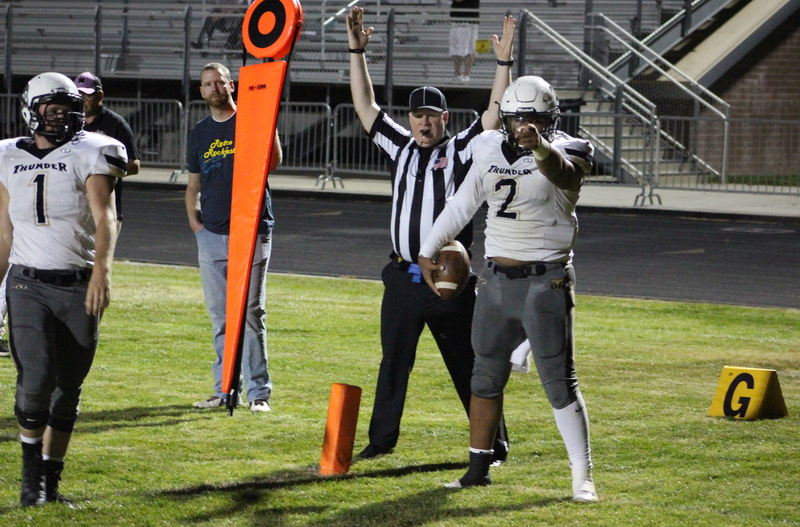 Fast forward 12 months and that confidence gained in outscoring Lone Peak 21-17 the final 25 minutes of that game became the hutzpah needed for the Flyers to do what they did Friday night. Meanwhile, Desert Hills and Snow Canyon also grabbed big wins Friday night. For the Thunder, who found a new hero in sophomore quarterback Noah Sewell last week, Week 2 would be all about rediscovering an old hero – Brock Parry. The small, but speedy running back, was nearly unstoppable in the Thunder’s blowout win over Salem Hills. Meanwhile, the Warriors exorcised a ghost of sorts, blasting the team that knocked them rudely (by shutout, no less) out of last season’s 3AA playoffs. 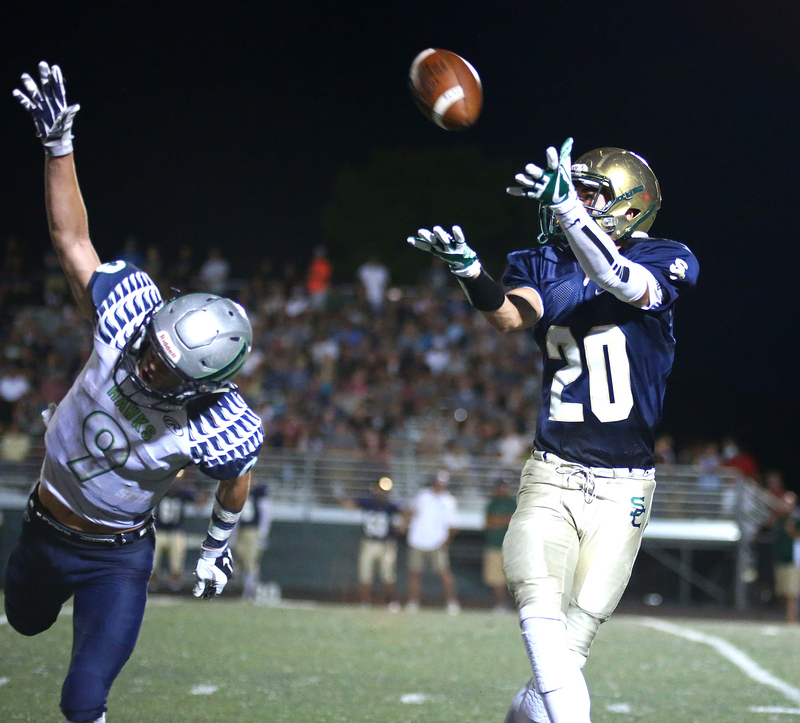 Austin Staheli continues to play well at quarterback and Snow Canyon seems to have a whole stable of great running backs. This week, it was Ryan Bethers that shredded the defense in SC’s big win. 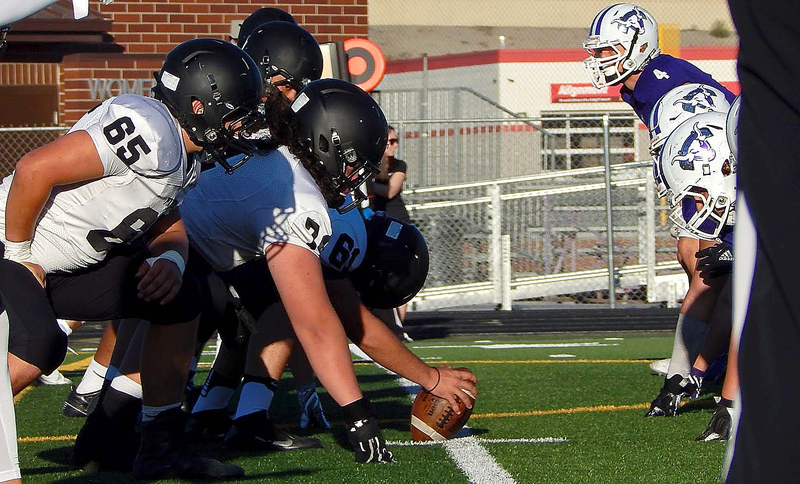 Pine View, meanwhile, had the daunting task of facing Lehi superstar quarterback Cammon Cooper on his home turf. Cooper was good, but not great. The Pine View defense was great, but didn’t get a win. The Pioneers won the game by a touchdown, but in many ways, it felt like a Panthers victory with the unexpectedly low-scoring close game. Out in H-town, the Tigers played a team full of big-time athletes. Again, in some ways the loss by Hurricane felt like a win. Hurricane lost, and truthfully, it wasn’t that close against Christian (Calif.). But the Tigers just did what they do – run the ball and do it very well. 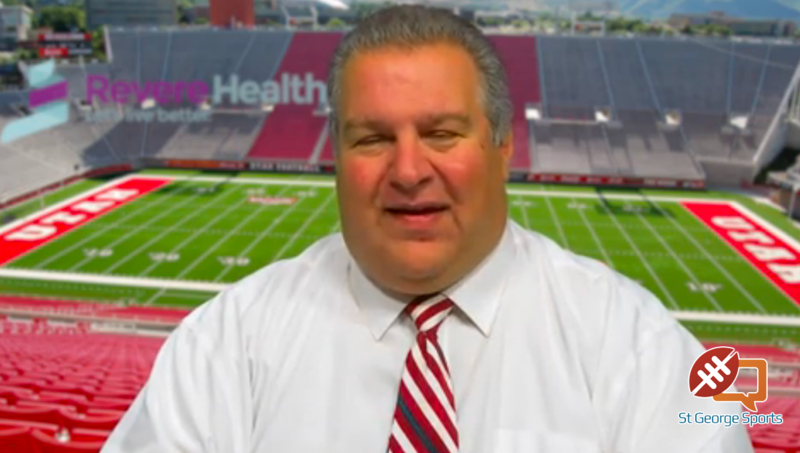 The duo of Cedar City teams is still looking for a victory after Week 2’s disappointing losses. 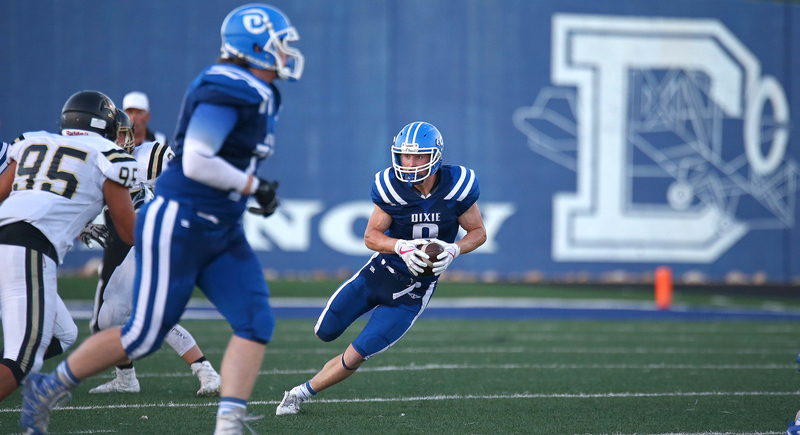 For Cedar High, offense (and the lack thereof) is still the problem. The Redmen continue to play great defense and have allowed just three offensive touchdowns in two games. But until the offense can figure things out, the wins are going to be hard to come by for CHS. Canyon View went down to Mesquite to take on a decent Virgin Valley team and dropped its second straight game. But Falcons coach Skyler Miller was optimistic despite the loss as his team showed some life and even posted a couple of touchdowns. So, Big Picturing the Week 2 results isn’t necessarily easy. Dixie is really good. So is Desert Hills. Snow Canyon might be a lot better than we originally thought. Pine View’s defense is pretty fierce. Hurricane will always do its thing. Cedar doesn’t give up many points. And Canyon View seems to building from the ground up. Thanks so much to the St. George News sports team, which traveled far and wide, plus made lots of phone calls, to bring our readers Friday’s topnotch coverage of Region 9 – AJ Griffin, Kurt Meacham, Darren Cole, Beaux Yenchik, Robert Hoppie, Dallas Griffin, Shelly Griffin and the CEC-TV crew, plus our friends at ESPN Radio. Week 2 is in the books!